Haven’t They Shut Down HAARP? The shills have come out to play, and they’re posting all over the net, on Facebook, on YouTube, on debunking sites. Who are they? And what are they doing? 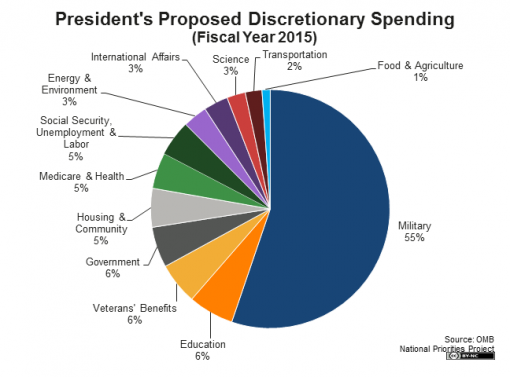 When we look at a simple chart about U.S. government expenditures, it’s easy to see that most our country’s money is spent on huge corporations that serve the war machine. To do its job, to keep the funds coming in, corporate attention must get focused on public opinion, or propaganda. These days, social media and its video networks are a huge part of the media. Shills tell us that HAARP programs cannot alter the weather in any way, and that the only way the United States government has ever changed the weather was in the ‘50s when planes dropped silver iodide in the skies to seed the clouds to help some poor farmers. Have these massive corporate-government operations not developed their technology the past seventy years? Don’t their own websites proclaim, screaming in all caps: “CLIMATE CHANGE IS A DIRECT THREAT TO U.S. SECURITY”? Feral House has just published Elana Freeland’s Chemtrails, HAARP, and the Full Spectrum Dominance of Planet Earth, and Ms. Freeland will appear on Coast to Coast on Saturday June 7, 11 pm to 2 am Pacific Time, in an interview with guest host Richard Syrett to discuss geo-engineering developments and operations. Note: you’ll receive a SIGNED COPY while supplies last if you order from our site.